Anatole France, a famous French poet once said, “The future is hidden even from those who make it”. Nothing could be more perfectly stated for the essence of this blog post. Did you know that the first unmanned aerial vehicle, or UAV as we know it, was flown in 1849 by Austrians to attack the Italian city of Venice in the form of unmanned balloons? Well, 167 years have passed since then and UAVs have upgraded their curriculum to increase their commercial value to an estimated at $600 million today. UAVs, or drones as the world calls it, got its name from a trainer plane developed by the US and UK called “Tiger Moth” or “Queen Bee”. I personally believe that the cartoon shows of the 1990’s (during my childhood) are the best predictors of the future; in some ways much ahead of the Mayan calendar whose credibility was seriously affected with the much-hyped prediction of the 2012 world destruction. Back to the cartoons, just like how Simpsons predicted Trump to rule the United States of America as President, Jetsons showed us glimpses of modern day technology that included drones. Drones are witnessing a major rush on a commercial note today primarily for the delivery of packages and goods. The race began in 2013 soon after Jeff Bezos announced Amazon’s plan to rapidly delivery products using drones. A year later, in August 2014, Google disclosed that it had been testing UAVs in Australia for two years. The Google X program known as “Project Wing” aims to produce drones that can deliver not only products sold via e-commerce, but larger consignment too. USPS has been testing delivery systems with HorseFly Drones. FedEx is reported to be testing integration of drone delivery with its existing logistics model. DHL delivered medicines via a prototype Microdrones “parcelcopter”, raising speculation that disaster relief may be the first place the company will leverage the technology for. UK based FPS Distribution and Switzerland’s Swiss Post are both developing drone delivery services for wide scale use. In February 2015, Hangzhou based e-commerce provider Alibaba started delivery using drone services around select cities in China. While drones are the buzz word today for logistics, it doesn’t escape the tough test of proving its mettle. A first major blow came with the US Federal Aviation Administration (FAA) banning the use of drones. However, the latter half of 2015 found the FAA relaxing rules for commercial drones used to deliver packages. It now states that companies cannot fly drones beyond the line of sight of human operators nor fly them at night, unless they receive an exemption. The FAA recently created a new drone advisory committee with government officials and representatives of companies and drone advocacy organizations. The committee has been tasked refine the current rules to accommodate issues like flying drones outside a human operator’s field of vision. Some of the members of the new drone advisory committee include representatives from UPS, Google, Amazon, Facebook, American Airlines, and San Francisco Mayor Ed Lee. This activity is further backed by some strong patent filing trends. At present, around 2,000 patent applications related to drone technology are filed globally every year, with China and USA leading the way. on flight management and communication systems for UAVs. Honeywell follows suit with a similar number of patents filed on different kinds of special use aircraft (international patent class: B64C 39/02). Aerovironment, a pioneer in human-powered flight, is filing patents on aircraft using automatic pilots (B64C 13/18), adjustable wings (B64C 3/38) and other related equipment (B64D 47/00). Boeing and EADS are also important players in this field and are actively researching several technology areas. EADS’ developments on radars for mapping (G01S 13/89) are notable; Boeing has patented technology on navigational instruments (G01C 21/00) and measurement arrangements (G01D 1/06). Raytheon and Lockheed Martin have been developing technologies related to ground or aircraft-carrier-deck installations and technologies for arresting, launching or towing gear (B64F). These two companies have been a team for several years within the US Unmanned Aerial Vehicle program along with General Atomics, a company which commercializes the Predator drone, well known for its deployment by the US army in the battlefield. Amazon patent application US20160257401A1 talks about an interesting idea of drones hitching rides on trucks. UAVs which fly to destinations (e.g., for delivering items) may land on transportation vehicles (e.g., delivery trucks, etc.) for temporary transport. For example, a transportation vehicle may include identifying markers on a roof or other visible surface, such as painted numbers, symbols, a barcode, or a QR code that may be imaged or scanned by a flying UAV to determine if that transportation vehicle could be used for landing. As another example, GPS coordinates may be utilized to identify a transportation vehicle. 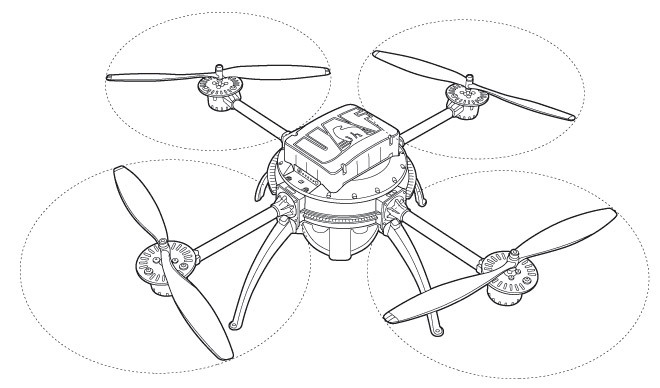 Amazon patent US9387928B1 will change the way how drones operate and deliver items. A docking station can include a number of services to facilitate both UAV guidance and maintenance and community acceptance and benefits. This can enable the UAVs 105 to, for example, avoid bad weather, recharge/refuel, drop off packages, pick-up packages, communicate with a central control system, reset navigation systems, and await further instructions, among other things. Google patent US9321531B1 is all about how to make deliveries safe for both humans and machines. A payload delivery system can lower a payload to the ground using an assembly that secures the payload during descent and releases the payload upon reaching the ground. The assembly can also include a bystander communication module for generating cues for bystander perception. While the assembly securing the payload is being lowered from the UAV, the bystander communication module can generate an avoidance cue indicating that bystanders should avoid interference with the assembly. Amazon has a WIPO application WO2016134193A1 which describes multiple drones clubbed together on a mission. A collective UAV in which multiple UAVs may be coupled together to form the collective UAV. A collective UAV may be used to aerially transport virtually any size, weight or quantity of items, travel longer distances, etc. For example, rather than using one large UAV to carry a larger or heavier item, multiple smaller UAVs may couple together to form a collective UAV that is used to carry the larger or heavier item. The study clearly signals a bright morning for the drones delivering items. A research involving cost perspective supports this claim fully. So, the next time you see something flying from your window, it might be a DRONE. Sameer is a patent engineer who hails from the pristine Himalayan region of Nangal where the Sutlej river meanders through. He enjoys following world happenings in print and breathes football.